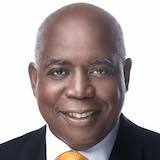 Bahamians were treated from their Prime Minister with a litany of non-performance. What a travesty this address was. A nothing burger trying to pass for sensible public policy and accomplishment. Mr. Prime Minister, after twenty months in office you must surely know you cannot simply pronounce something as truth - that which is clearly false. You have fallen short. The Prime Minister stapled together every piece of paper he could to try to make the government look ‘busy’. It's the kind of thing that children do when the teacher walks into class. But nothing that he said tonight can hide the fact that his government is failing. Some of what he promoted as ’successes’, are simply processes. For example, we hardly need a plan to clean up Bay Street. It simply needs to be done. Just clean it up! I wish to isolate the claim of unemployment being down on Grand Bahama. Here we go again with yet another example of a selective story that bears no match to reality. The reality on the ground is that after twenty months the FNM has made things worse in Grand Bahama. Just ask the people of Grand Bahama if unemployment is down. In any event the figures show that unemployment is up in the country at large. This is simply breathtaking and inexcusable. It is due to the ruinous stop, review and cancel mantra of the FNM and Prime Minister Minnis. This ruinous policy represents an existential threat to the Bahamian people. How can you fire thousands of people, hire your cronies, then claim that unemployment is down? I do not wish to belabour the point. Suffice it to say, the Hubert Minnis and his administration have been a disaster for this country. The facts show it. Everything is going in the wrong direction. Most of all, there is no feel good factor in the country for him and the FNM. The misery index is up in The Bahamas. The Prime Minister confirmed why he has failed. The pity is he just doesn't get it. A PLP administration for its part would have announced the airport had been started in Exuma; the school in Black Point and its clinic fixed and functional; and announced a buyer and operator for the hotel in Grand Bahama complete with the requisite supporting airlift. Further, Ragged Island would be well on its way to being back on its feet again; the construction of a new runway at the Lynden Pindling International Airport (LPIA) would be well underway. The PLP would have said something to give people hope in other words.